Looking for office plants that require very little maintenance but still purify the air? Here’s a list of our top five easy care office plants. If you want us to visit your meeting rooms, breakout or collab spaces to put together an office planting plan and installation, let us know. These tall thin leafed plants make a perfect colleague. 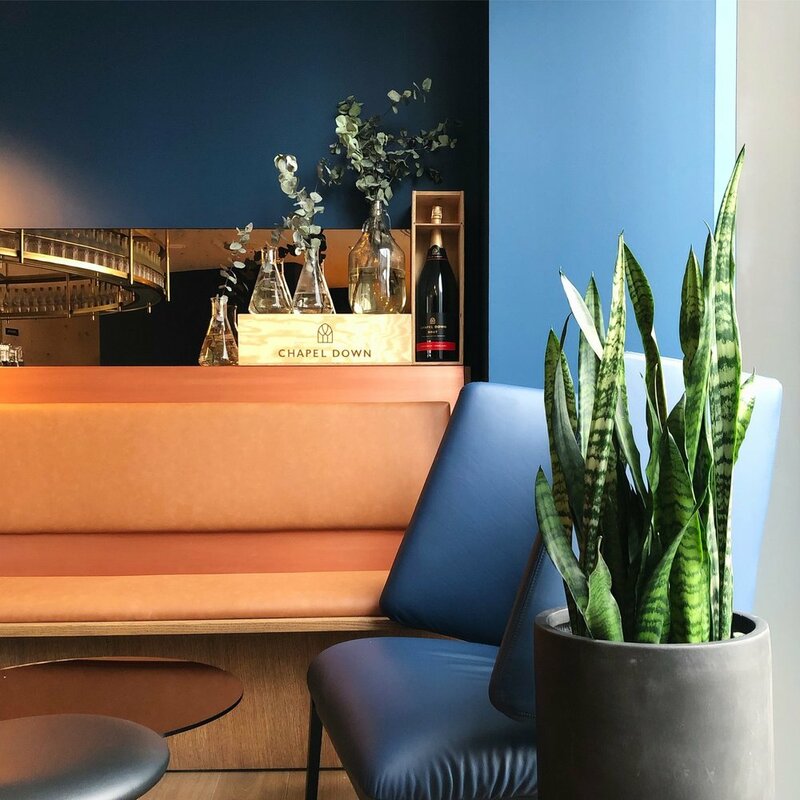 They require very little maintenance, and although ideally prefer a bright space they will cope quite comfortably in spaces that are a little shadier. Despite their spear like foliage, they’re actually not sharp to the touch so if staff brush past it they won't be hurt. Depending on where you’re thinking of placing it, you need to water every them every 2-6 weeks (easy!). Glossy and shiny stalks of foliage create a cool explosion of foliage. The plant is native to eastern Africa, from Kenya south to northeastern South Africa, but again will cope surprisingly well in a variety of indoor places. If it’s a low light space this might be the office plant you’re after. Again this office favourite doesn’t want a crazy amount of water, is happy in dry air which is great for air conditioned meeting rooms. If anything, neglect it you ZZ plants a little and it will love you and your staff back. 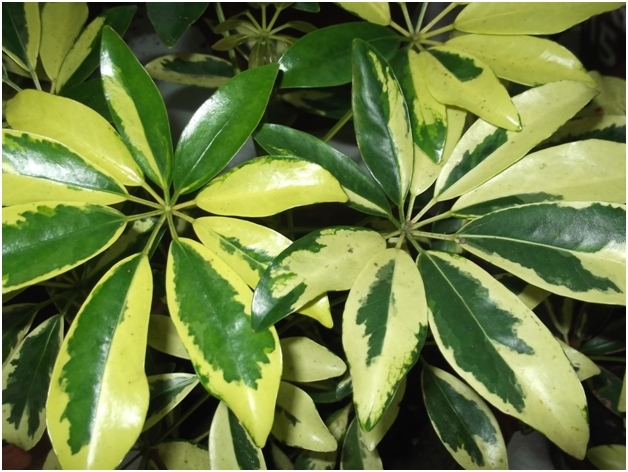 There are loads of variations of Schefflera which make them a perfect office plant as you can fill your meeting rooms with loads of different shapes and foliage colours. Their stems house cool foliage umbrellas that burst out of the tips. They prefer a brighter space but they don’t want to get blasted by direct sunshine. These office plants look great when placed in bright spaces. If the leaves start turning a mushy yellow colour then hold back on the watering. 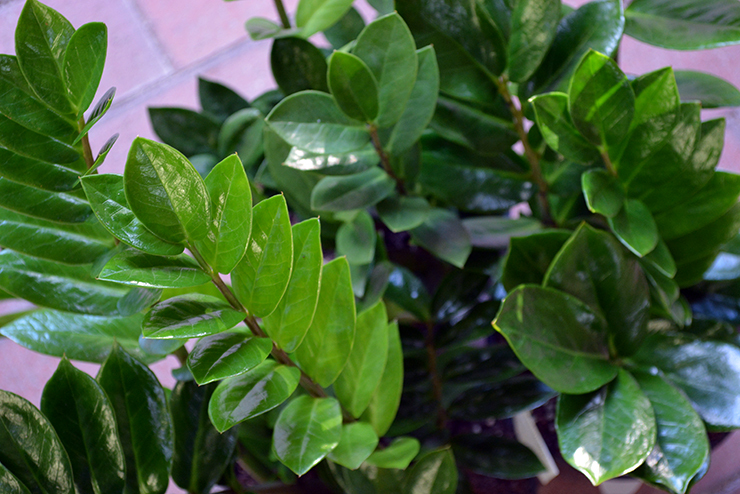 Your umbrella office plant likes to dry out between waterings. Looking for a trailing office plant? Then this is the plant for you. The Devil’s Ivy is nicknamed this because, well it pretty much grows everywhere and once it gets going it’s cascading foliage is going to cover your office space beautifully. This plant can be ‘trained’, so pinned onto surfaces, ceilings or walls where it will happily go exploring. You can let the plant keep exploring around a meeting room and pin it as it goes, or give it a little chop to keep it more organised. We installed this plant at a Yoga studio a few weeks back and made it crawl underneath the mezzanine ceiling. That way as you’re perfecting your yoga poses you can stare at some striking foliage. Calathea - sometimes nicknames Prayer Plants. Have a shady or more humid spot in your office that needs some plants? The calathea or Maranta family will add a pop of colour whilst also purifying the air for you. Maybe you want a plant installation in the work washrooms or toilets. These could be perfect! Keep out of intense sunlight as these plants will fry slightly. If they’re thirsty they’ll fall wide, telling you to give them a little drink. 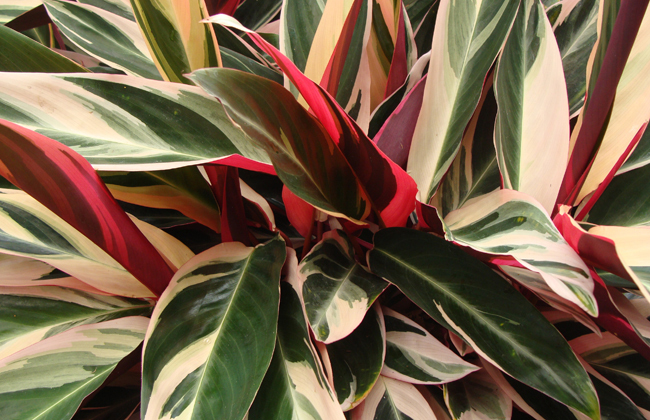 We like mixing up all the different shapes and colours of calathea in our plant installations to make some real easy to maintain impact. They’re often called Prayer Plants as they will move throughout the day. The plant starts off closed up at night, then opening up to face the light source whilst it shines. That’s it! That’s our top five office plants for simple and easy care. They can be picked up an installed as simple potted plants, or can be arranged to make a really cool and unusual installation. Are you looking for office plants and need help with your office plant installation in London? Let us know. We’ll happily come and visit the space and put together a no obligation planting plan and quote for the office plants and installation.